July | 2013 | Not Your Average Hockey Blog. We’re not going to hold you back from checking out our interview any longer. So here it is, our interview with Chris Driedger! Day has been great, I’m at the Sens development camp since Tuesday. It’s been a lot of fun. So we always here that players are at the development camp, but not what goes on. What goes on during development camps? Well right now we have a scrimmage going on, but I’m coming off an injury so they don’t want me skating. Just a lot. They teach us how to work out and take care of our bodies. We have nutrition, mental toughness, sports psych and all sorts of seminars so they maximize out chances of being successful hockey players and people. You played a season with the Tri City Americans before getting traded to the Calgary Hitmen. So what was it like getting traded? Well it was pretty interesting, I knew the trade was coming so I wasn’t too surprised when I got the call. It was nice knowing I’d get a good opportunity to play some quality games for this team. It turned out to send my career in the right direction. What’s something you’ll miss about Tri City? Tri was an awesome city to play in. The guys were great, the fans were great, it was fun to play for an American team as well. So playing in Tri was your first time playing away from home for an extended period of time. Was it scary for the first while? Yeah it was my first time. It took a little bit of getting used to for sure but it was also really exciting at the same time. I was lucky I had great billets and my roommate was a really nice guy too. Helped me through a lot. Who was your roomate? Maybe we’ll get him a shoutout on Twitter or something! Actually was Brendan Shinnimin. Made quite the name for himself after I went to Calgary! Is there anything in particular that Brendan taught you that you try to pass on to the rookies? Shin was just an all around hard working guy, I would say his work ethic was easy to learn from because it made him successful. 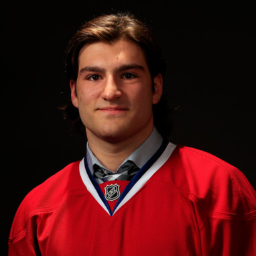 So on to the draft, what was it like to be drafted to the Ottawa Senators? Well it was a great feeling! The Sens are known for their development of prospect so being a prospect was a great feeling. After my first development camp I knew this was a team dedicated to making their prospects better. Being in the Senators system is an honor. That sounds great! So what has been the highlight of your career so far? Best day of my career has been being drafted by the Senators by far. It was just a big step in my career and a move in the right direction. Do you remember who you hugged first or what your first reaction was when you got drafted? It was my girlfriend actually! Oh haha that’s cute! What has been the lowpoint of your career? Well my girlfriend at the time. But I would say my 16 year old year. Didn’t play very much at all and it was tough being the youngest player in the league. Looking back, I got a lot better being exposed to the league at an early age. It was just a tough time that year. So the next half of it is rapid fire. Don’t think. Just answer. This is where the average fan meets you as a person. Ready? A good old fashion pizza. Ever had an awkward encounter with a fan? Yes… Girl didnt know an autograph meant an autograph… I’d rather not go into it. Do’s and dont’s of meeting Chris Driedger? Be polite and friendly and that’s all I need. Ever had a childhood pet? I had pet fish but I’m not sure if they count. If you weren’t a hockey player, what would you be planning to do? I would be a psychiatrist. Best thing about being Canadian? Interview my roomie Greg Chase next the guy is a character. 5 Burning Questions With Mac Carruth! 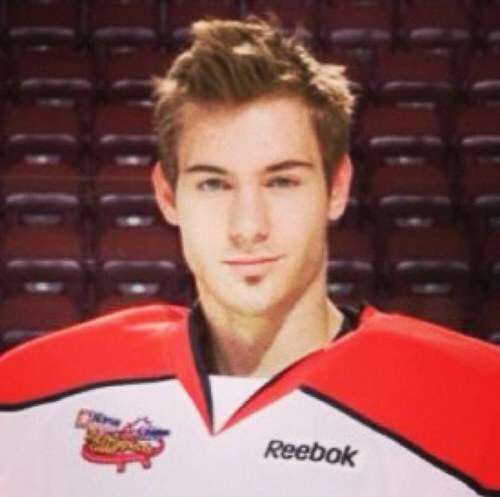 We recently caught up with Mac Carruth of the Portland Winterhawks! “The Truth” as he is often called, is the all time leader in wins for the Winterhawks, and was named to the 2012-2013 WHL West All First Team. He was also drafted by the defending Stanley Cup Champions Chicago Blackhawks in the 7th Round (191st Overall) in 2010! 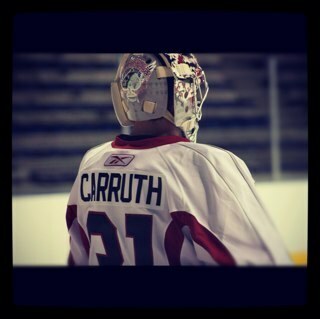 He’s a fun follow on Twitter, and you can follow him on Twitter: @MacCarruth31. You can also follow me on Twitter: @HkyBlogger and “like” us on Facebook here: https://www.facebook.com/NotYourAverageHockeyBlog Without further to do, here is our interview with Mac “The Truth” Carruth! So we’re going to do this 5 burning questions style, here’s the first one. You played in the NAHL and the WHL, how is the NAHL different from the WHL? The WHL is faster with more top end players. The schedule is also close to a NHL schedule. What’s something you learned in the NAHL that helped your prepare for life in the WHL? Don’t dwell on previous games there is always another. Can you take us back to the draft? What was that like, what kind of feelings you were going through, and who did you hug first? It was the seventh round and started I heading out the door. I told my mom to call me if anything happened. I was pulling out of the driveway and twenty feet later, I got a call from my agent saying, “Welcome to the Hawks.” I was very excited to be drafted by such a winning organization. What was it like to be playing with fourth overall pick Seth Jones? Was it assuring to have such a good talent in front of you? It was a great experience. He’s an amazing player and teammate. I can’t say enough good things about him. Not dumb at all! Thank you for your time. Enjoy the offseason and best of luck in the upcoming season! Unlike the Canada preview that I wrote a few days ago, there are not many directions to go with this roster. I expect all of the forwards to make the roster. In addition, I could definitely see Kruger and Hornqvist making the roster as extras in case of an injury. On the blue line, the first four defensemen should easily take roster spots. I expect Ericsson and Murray to make the roster because of their efforts this past season. Murray continued his strong and physical play for the Penguins while Ericsson turned into a key defenseman for the Wings. Brodin had a strong season alongside Suter in Minnesota, but his youth and inexperience may put him lower on the list than expected. I would not be surprised if both Brodin and Edler also made the roster as extras on the back end. As far as the netminder, there definitely are not any question marks here. Lundqvist will be a cornerstone for this team. Fans, comment with any questions or comments. 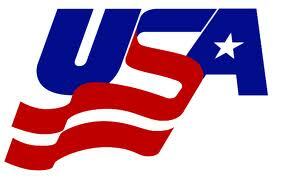 Now the roster for the 2014 Olympics is allowed to contain 25 names. The USA Today article I read suggested that the coaches were looking for a 13 forward, 9 defenseman, and 3 goalies breakdown so that is I what I am using to come up with my potential roster. The camp roster is full of young talent a few of which have no chance in making the team. Some of the older players I have listed on my roster could be replaced by younger camp attendees. I thought a lot of camp invitees were too young/inexperienced to be invited when I look at the level of talent/experience on other countries’ camp rosters. Let’s hope the GM/coaching staff know what they are doing. I have to wonder how they are going to figure out team chemistry, since they can only do off-ice drills and interviews because the cost of insurance is too high. Of course camp doesn’t really mean anything because anyone could in theory come upon a hot-streak before the roster has to be finalized and make the team. Looking at the forwards, the top three lines should essentially be locks for roster spots. After a stellar regular season and playoffs last year, Couture seems to be a lock with the other eight. The fourth line definitely includes players on the cusp. Staal is a veteran that contributed on their 2006 team and again on the 2010 gold-winning team, but his best years may be past him. I do not see them passing on St. Louis despite his age. Clearly, he showed last season that he still has it. Any hockey fan who watched Boston this past postseason could see how valuable Bergeron is on any team. He is a Selke winner who can play any game situation. I do not see M. Richards making it through this year. He does all the little things a team needs, but I feel Bergeron can fill this role just as well. The team has too much star power and depth that Richards’ value is outweighed. I could see Hall stealing a spot after a breakout season and adding more youth to the team in place of a veteran like Staal. In addition, it seems Thornton’s era on this team is in past, it is time to bring in the younger guns and allow them to shine. On the blue line, I see the top five defensemen set in stone. There seems to be too much talent between Subban, Keith, Weber, Doughty and Letang to leave anyone out of the mix. The last spot on the blue line is the question mark. It is a complete tossup between Boyle, Seabrook, and Pietrangelo. I chose Boyle because I think he still has his game, despite his age. In addition, he brings leadership to this young and talented team. Seabrook could easily fit in too because of his playing style. In addition, he and Keith would be a great pairing like on the Blackhawks. After a breakout season, Pietrangelo could end up taking this last spot. The youngster is highly talented and could add talent to an already great defensive core. In net, Smith and Holtby seem to be the odd men out. With Price, Luongo, and Crawford in the mix, I could see any of the three starting. I put Price in the starting slot because I believe he will prevail. Whichever goalie has a hot first half of next season should get the nod. I was a little surprised to see Tyler Seguin left out of the mix. Despite his recent troubles and departure from Boston, I believe he could be a great fit into the forwards. I foresee him getting quickly back on track in Dallas. Any way Steve Yzerman and his crew select this team, they should be the best on paper. It will be interesting to see if they can find the right chemistry to win another gold medal in Sochi next winter. 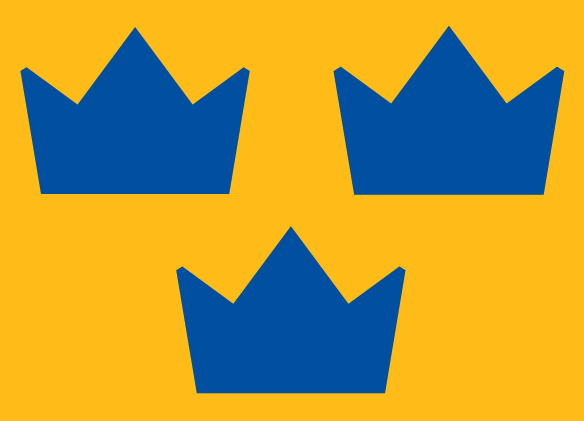 Fans of all countries and NHL teams, leave your comments and let me know what you think. Without further to do, here is our interview with Jeremy Gregoire! My day has been good. I left for the United States for a week long vacation. I had a huge month with the combines, the draft ,and my training so I’m glad to see my family for a small break. What’s a day in the life of Jeremy Gregoire? I am someone that loves to work out a lot so all week long I am in the gym and my schedule changes depending on the day. Usually, I go to the gym early in the morning for an off-ice training session and go back home after to eat and sleep. After a little dinner, I go back for an on-ice session. It’s like that 5 times a week. When I was a kid, I studied in an art school. We had piano and violin lessons every day. So I played these instruments for 6 years and I was getting pretty good at it. I’m still not bad. Your dad played hockey professionally. What’s one thing you’ve learnt from him that gives you an advantage over other players? Growing up seeing my dad play hockey made me realize very fast what a professional athlete needed to do to be successful, so when I started to play, I knew I had to work hard and practice to reach my goal. I may have improved a little faster when I was young because of that. You were in the middle of a slump when you were traded from Chicoutimi Saguenéens to the Baie-Comeau Drakkar. What’s it like when you first realize you’ve been traded? At first, I was happy to have a chance to redeem myself after a bad start in Chicoutimi but leaving my friends in Chicoutimi, where I stayed for a year and a half, was the hardest part. You played a much more disciplined game after being traded to the Drakkar. What has been the biggest change between Chicoutimi and Baie-Comeau in your opinion? I think that the difference was in the way I approached the game. In Chicoutimi, I guess I put more pressure on myself, just because it’s my draft year. I was forcing plays and becoming frustrated. In Baie-Comeau, I just played to have fun, like I always did before, and the results were positive. Would you say being traded was a turning point in the season? It was definitely a turning point, the fact that I played the same style of hockey as the Drakkar helped me a lot through the second half of the season. It gave me the opportunity of being drafted even with a bad first half. At the end of the season, how do you prepare for a grueling postseason? I had meetings with the hockey staff in Baie-Comeau and training to prepare for the Combine. I enjoyed it a lot, now it’s time to relax a bit before the next season. You represented Canada at the Ivan Hlinka U18, what was that like? It was a very special event for me. It was my first time with the national team and we won the gold medal. Being part of a great team with the best players of the country was awesome and visiting Europe for the first time was a great experience. At the Ivan Hlinka, you played mostly in a fourth line role; something you’re not familiar with, how did you adapt? I liked it a lot actually, it made me discover another role and it made me a more complete player for the future. At the beginning, it was difficult to think only defence and concentrate on winning big face-offs, but after two games, I was playing a solid defensive game. This is your draft year, if I was a GM, and I asked you why I should draft you, how would you reply? I think that I’m a good two-way player who brings energy and leadership to a team. I can play the role the coach asks me whether it’s a defensive or offensive one. Take us back to the draft, what was it like? Where were you and how is it like to be drafted by the Canadiens? The time I spent in New Jersey was great. The draft is a unique event in a hockey player’s life. I was sitting with my family and the other players waiting for the draft to start and we could feel the crazy atmosphere. The New Jersey Devils fans were great, it was almost like a hockey game, they were so noisy. When I heard my name announced and realize that it was the Montreal Canadiens, I was so happy. Even if I wasn’t a Habs fan growing up, I always used to watch their games on the television and being a French-Canadian drafted by Montreal is a dream that a lot of people in Quebec would have love to realize. I am now proud to be part of the most decorated organization in the NHL. The next part is more a rapid fire round. Don’t think, just answer. I think I was the only Sens fan growing up in the Quebec province. Favourite sport to watch that’s not hockey? Golf, on a rainy afternoon! Both…is that a good answer? 4 hour bus ride, how do you spend the time? Music and homework is the way to do it. Do you have any advice for aspiring hockey players? Be passionate for you sport, it’s a great sport that needs hard work and determination. 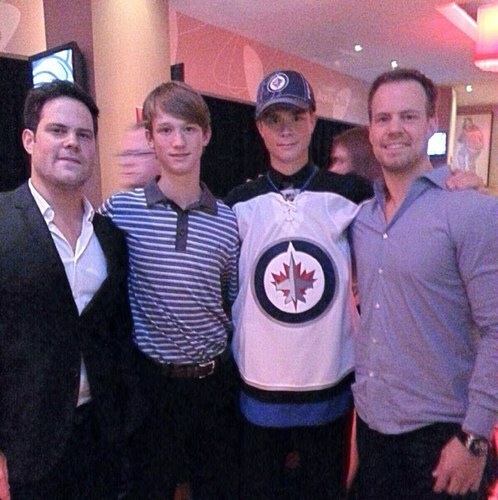 I recently caught up with Eric Comrie of the Winnipeg Jets and we had a nice little chat. Before I get a billion complains, let me explain the confusion. We split this interview up over a few days, so the first half was before the draft, and the second half after the draft. He was drafted 59th Overall by the Winnipeg Jets. Here’s a little fun fact for you. Did you know that his half-brothers are Mike and Phil Comrie? That’s cool isn’t it? Well you can learn more cool facts about him, by following him on Twitter: @ericcomrie1. You can follow me on Twitter: @HkyBlogger, and “like” us on Facebook here: https://www.facebook.com/notyouraveragehockeyblog Without further to do, here is our interview with Eric Comrie of the Winnipeg Jets! It has been amazing! Was up in LA training hard. Just got home. How was yours? It was good! What’s a day in the life of Eric Comrie? Depends what kind of day it is because game day is different than a practice day and practice day is different from a summer day. Well what about today! Are you in New York/New Jersey for the draft? No I am not. Today was just a normal training day worked out a couple hours and did lots of stretching also getting ready for the draft. So obviously, this is your draft year and you are a top prospect. How do you maintain focus during games when you know tons of scouts are watching your every moment and analyzing every move you do? Well I was lucky enough to have had brother play in the NHL and go through this same thing along with the owners in Tri City so I got great advice. They told me to just focus in the moment and that things will take care of itself. Speaking of your brothers, do you feel like you have an advantage over other prospects because of your brothers? Yeah I think it is a huge help knowing how much work and dedication it takes to make it from me seeing it firsthand. What’s the most important piece of advice either one has given you? Just seeing firsthand of how hard both of them work the amount of hours in the gym shooting pucks and the hard work on the ice. There is a very big chance that you will be drafted at a higher position than either of them. Are there bragging rights at stake on Sunday? I am just really happy that I will be drafted. Mike and Paul were not drafted as high as some but it shows how hard they worked to make it. The WHL season is extremely long, and you have to focus in school as well as hockey. How do you maintain focus with so much going on? I think that the team does a great job of making sure that school gets done but it’s a big responsibility on the player as well! You had an up and down year this year, battling a hip injury. How do you keep pushing yourself to do better after an injury? Representing team Canada was a dream come true. 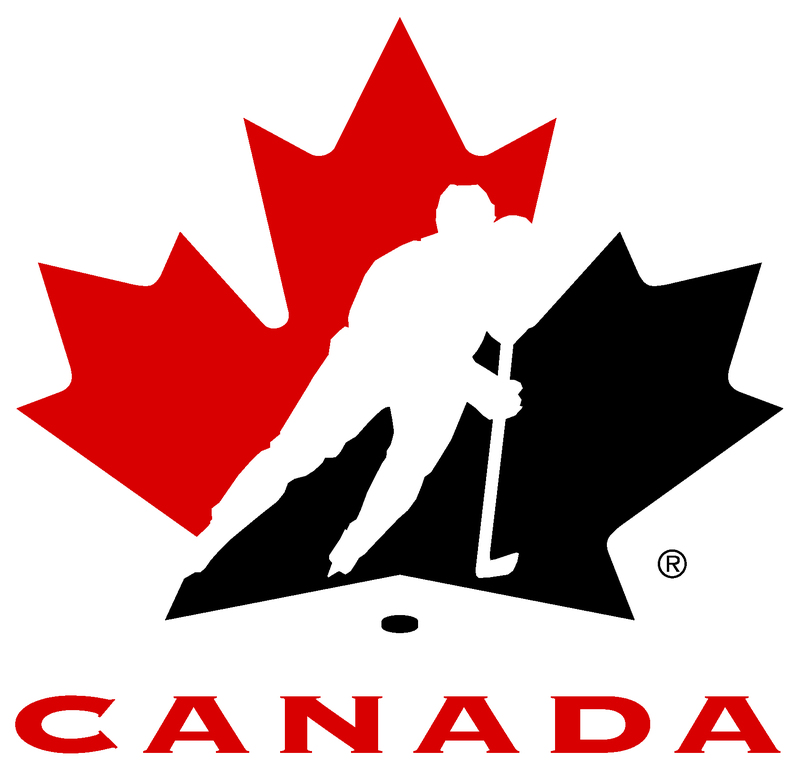 They have a great organization and really hope to be playing for Canada again. I would say getting surgery and it’s been great everyday just getting better and better I am feeling amazing right now. Tell me what it’s like to get drafted? It’s the best feeling in the world but I know how much hard work is still left. The next part is a rapid fire session. Don’t think. Just answer. Ready? Favourite sport not named hockey (field hockey doesn’t count)? Would you rather play without a stick or a glove? If you had to be on a game show, what would it be and why?